This is a post I wrote for CIMSEC for their “Distributed Lethality Week,” but their editor thought it would fit better in their “Naval Force Structure Week.” Had I known the topic, I might have spent more time on ASW. The Navy has been talking a lot about distributed lethality lately, and “if it floats, it fights.” There is even talk of mounting cruise missiles on Military Sealift Command (MSC) ships, even though it might compromise their primary mission. But so far there has been little or no discussion of extending this initiative to include the Coast Guard. The Navy should consider investing high-end warfighting capability in the Coast Guard to augment existing force structure and provide a force multiplier in times of conflict. A more capable Coast Guard will also be better able to defend the nation from asymmetrical threats. Why Include the Coast Guard? A future conflict may not be limited to a single adversary. We may be fighting another world war, against a coalition, perhaps both China and Russia, with possible side shows in Africa, the Near East, South Asia, and/or Latin America. If so, we are going to need numbers. The Navy has quality, but it does not have numbers. Count all the Navy CGs, DDGs, LCSs, PCs and PBs and other patrol boats and it totals a little over a hundred. The Coast Guard currently has over 40 patrol ships over 1,000 tons and over 110 patrol craft. The current modernization program of record will provide at least 33 large cutters, and 58 patrol craft of 353 tons, in addition to 73 patrol boats of 91 tons currently in the fleet, a total of 164 units. Very few of our allies have a fleet of similar size. 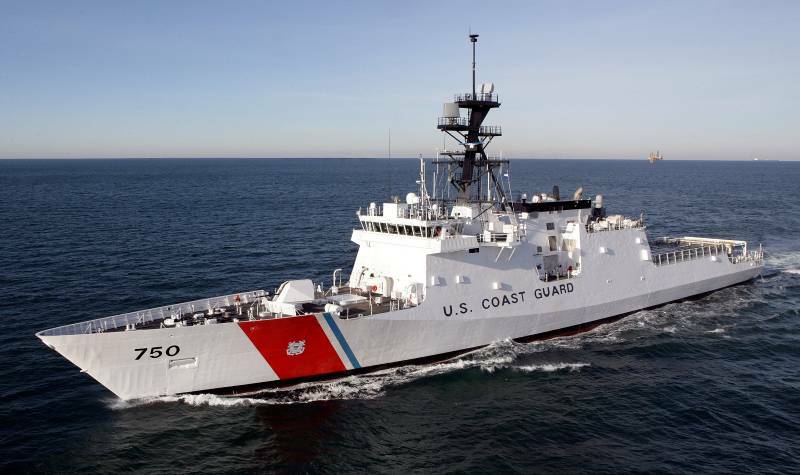 Coast Guard vessels routinely operate with U.S. Navy vessels. The ships have common equipment and their crews share common training. The U.S. Navy has no closer ally. Because of their extremely long range, cutters can operate for extended periods in remote theaters where there are few or even no underway replenishment assets. The Coast Guard also operates in places the USN does not. For example, how often do Navy surface ships go into the Arctic? The Coast Guard operates there routinely. Virtually all the U.S. vessels operating with the Fourth Fleet are Coast Guard. There are also no U.S. Navy surface warships home based north of the Chesapeake Bay in the Atlantic, none between San Diego and Puget Sound in the Pacific, and none in the Gulf of Mexico with the exception of mine warfare ships. In the initial phase of a conflict, there will be need to round-up all the adversaries’ merchant ships and keep them from doing mischief. Otherwise they might lay mines, scout for or resupply submarines, put agents ashore, or even launch cruise missiles from containers. This is not the kind of work we want DDGs doing. It is exactly the type of work appropriate for Coast Guard cutters. Coast Guard ships enjoy a relatively low profile. Unlike a Carrier Strike Group or Navy SAG, they are less likely to be tracked by an adversary. If we fight China in ten to twenty years, the conflict will likely open with China enjoying local superiority in the Western Pacific and perhaps in the Pacific in general. If we fight both China and Russia it may be too close to call. In short, they are already equipped with virtually everything needed for a missile armed combatant except the specific missile related equipment. They are in many respects superior to the Littoral Combat Ships. Adding Cooperative Engagement Capability might even allow a Mk41 equipped cutter to effectively launch Standard missiles targeted by a third party. The ships were designed to accept 12 Mk56 VLS which launch only the Evolved Sea Sparrow missiles (ESSM). Additionally, the builder, Huntington Ingalls, has shown versions of the class equipped with eight Mk41 VLS (located between the gun and superstructure) plus eight Harpoon, and Mk32 torpedo tubes (located on the stern). Adding missiles to the existing hulls should not be too difficult. The Mk41 VLS are more flexible in that they can accommodate cruise missiles, rocket boosted antisubmarine torpedoes (ASROC), Standard missiles, or Evolved Sea Sparrow missiles (ESSM). 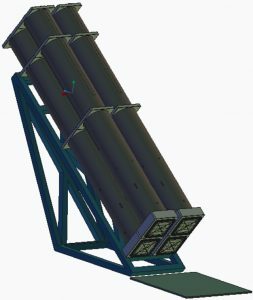 Using the Mk41 VLS would allow a mix of cruise missiles and ESSM with four ESSMs replacing each cruise missile, for example eight cells could contain four cruise missiles and 16 ESSM, since ESSM can be “quad packed” by placing four missiles in each cell. Development of an active homing ESSM is expected to obviate the need for illuminating radars that are required for the semi-active homing missiles. Still, simpler deck mounted launchers might actually offer some advantages, in addition to their lower installation cost, at least in peacetime. Cutters often visit ports where the population is sensitive to a history of U.S. interference in their internal affairs. In some cases, Coast Guard cutters are welcome, while U.S. Navy ships are not. For this reason, we might want to make it easy for even a casual observer to know that the cutter is not armed with powerful offensive weapons. Deck mounted launchers can provide this assurance, in that it is immediately obvious if missile canisters are, or are not, mounted. The pictures below show potential VLS to be considered. 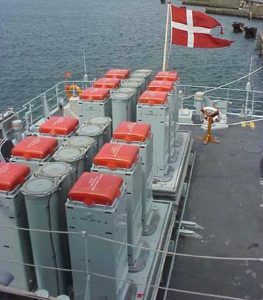 12 earlier Mk48 mod3 VLS for ESSM seen here mounted on the stern of a 450 ton 177 foot Danish StanFlex300 Flyvefisken-class patrol boat. The Mk56 launchers replace the Mk48s with an approximate 20% weight savings. The OPC program of record for provides 25 of these ships. A contract has been awarded to Eastern Shipbuilding Group for detail design and construction of the first ship, with options for eight more. The notional design is 360 feet long, with a beam of 54 feet and a draft of 17 feet. The OPCs will have a sustained speed of 22.5 knots, a range of 10,200 nautical miles (at 14 knots), and an endurance of 60-days. It’s hangar will accommodate one MH-60 or an MH-65 and an Unmanned Air System (UAS). The FRC program of record is to build 58 of these 158 foot, 28 knot, 365 ton vessels. 19 have been delivered and they are being built at a rate of four to six per year. All 58 are now either built, building, contracted, or optioned. They are essentially the same displacement as the Cyclone class PCs albeit a little slower, but with better seakeeping and a longer range. Even these small ships have a range of 2,950 nm. They are armed with Mk 38 mod2 25 mm guns and four .50 caliber M2 machine guns. They are already better equipped than the Coast Guard 82 foot patrol boats that were used for interdiction of covert coastal traffic during the Vietnam war. If they were to be used to enforce a blockade against larger vessels, they would need weapons that could forcibly stop medium to large vessels. There are 73 of these 87 foot, 91 ton, 26 knot patrol boats. Four were funded by the Navy and provide force protectionservices for Submarines transiting on the surface in and out of King Bay, GA and Bangor, WA. If use of these vessels for force protection were to be expanded to a more hostile environment, they would likely need more than the two .50 caliber M2 machine guns currently carried. The four currently assigned to force protection units are currently equipped with an additional stabilized remote weapon station. It is not unlikely that Fast Response Cutters will replace the six 110 foot patrol boats currently based in Bahrain. If cutters are to be placed in an area where they face a swarming threat they will need the same types of weapons carried or planned for Navy combatants to address this threat. These might include the Sea Griffin used on Navy’s Cyclone-class PCs or Longbow Hellfires planned for the LCS. 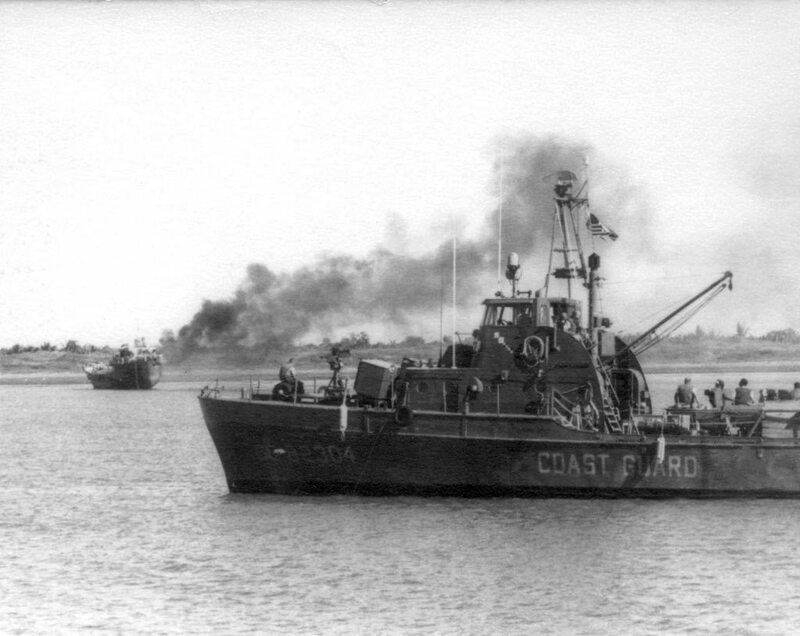 If Coast Guard units, particularly smaller ones, were required to forcibly stop potentially hostile merchant ships for the purposes of a blockade, quarantine, embargo, etc. they would need something more that the guns currently installed. The U.S. does not currently have a light weight anti-surface torpedo capable of targeting a ship’s propellers, but with Elon Musk building a battery factory that will double the worlds current capacity and cars that out accelerate Farraris, building a modern electric small anti-surface torpedo should be easy and relatively inexpensive. Assuming they have the same attributes of ASW torpedoes, at about 500 pounds these weapons take up relatively little space. Such a torpedo would also allow small Coast Guard units to remain relevant against a variety of threats. 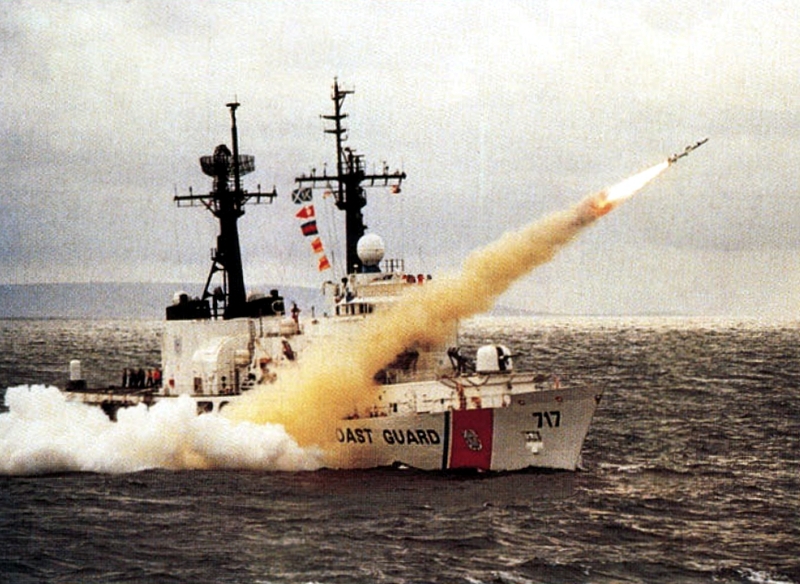 Adding cruise missile to the Coast Guard National Security Cutters and Offshore Patrol Cutters would increase the number of cruise missile-equipped U.S .surface ships by about 40 percent. Coast Guard Patrol craft (WPCs) and patrol boats (WPBs) significantly outnumber their Navy counterparts. They could significantly increase the capability to deal with interdiction of covert coastal traffic, act as a force multiplier in conventional conflict, and allow larger USN ships to focus on high-end threats provided they are properly equipped to deal with the threats. More effective, longer ranged, and particularly more precise weapons could also improve the Coast Guard’s ability to do it Homeland security mission. Thanks to OS2 Michael A. Milburn for starting the conversation that lead to this article. 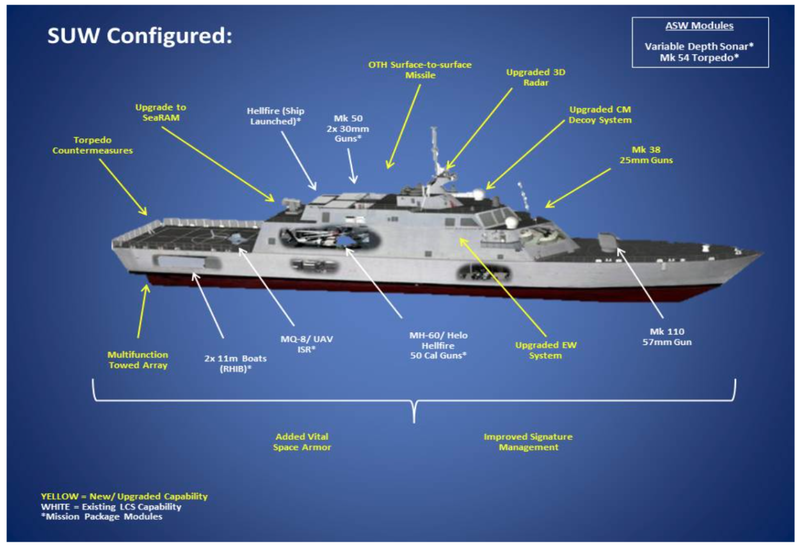 USNI is reporting that the existing Littoral Combat Ship designs will be modified to become the new Small Surface Combatant. It is not clear if they mean they will continue to build two designs in parallel, or if they mean they will select only one of the two. Perhaps there will be a competitive bid. In spite of apparently incorporating all the elements of both the anti-submarine and anti-surface modules plus over-the-horizon Anti-Ship Cruise Missiles, it is reported they will have a lighter displacement than the existing LCSs. 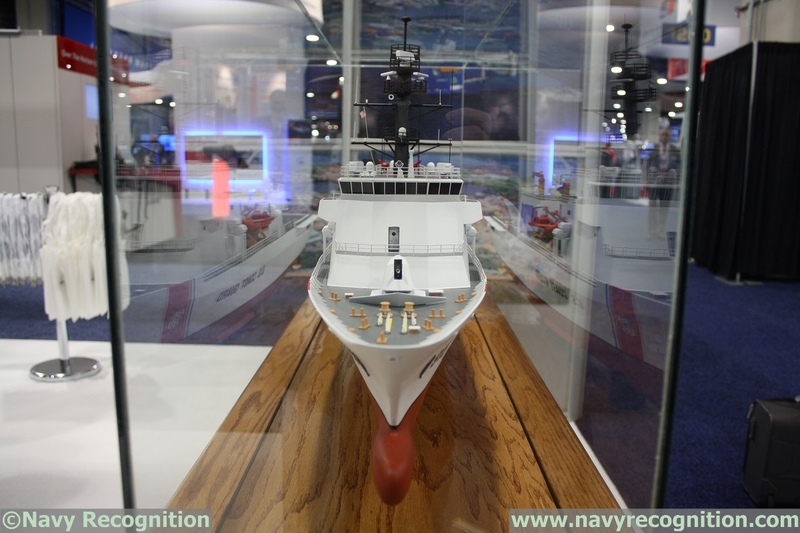 Surprisingly they apparently will not include VLS, but will include a multi-function towed array sonar, over the horizon ASCMs, upgraded radars, EW, and Cruise Missile decoy systems, torpedo countermeasures, a Mk38 Mod2 25 mm, and additional armor, in addition to the Mk110 57mm, two Mk46 30mm, Hellfire, MQ-8 UAVs and HM-60 helicopters. Both designs will use SeaRAM. 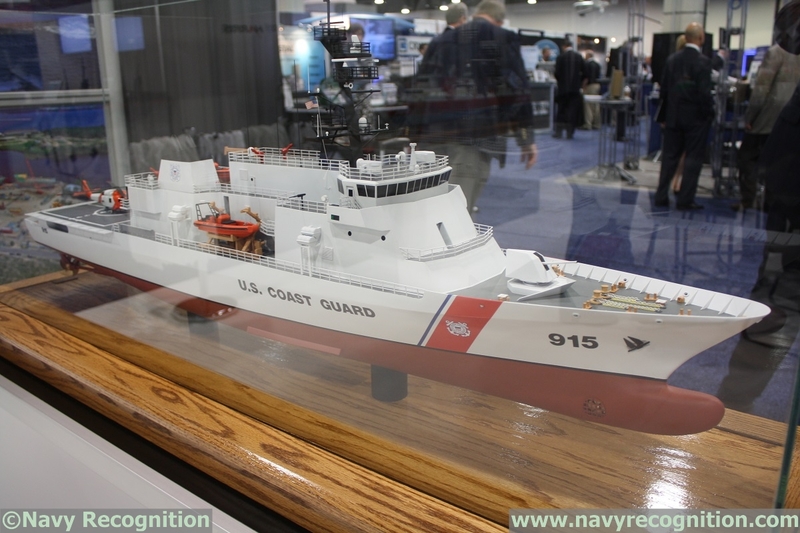 The question for the Coast Guard now is, how much commonality with this new class can be incorporated into the Offshore Patrol Cutter either as equipment actually installed or as equipment fitted for but not with? The more commonality that can be achieved, the more supportable the ships will be over the long haul. The world seems to be becoming a more dangerous place, where the US may need every warship it can muster. We cannot afford the luxury of building the OPCs without wartime potential. Recently found a brochure for Eastern’s OPC reportedly from last year’s Sea, Air, Space Conference. Credit FCNoVA from this discussion group. We have discussed this class before and here, the comments may still be of interest. Relative to the question does the design meet the “objective” criteria or only the minimums it looks like relatively good news, meeting or exceeding the objectives in terms of endurance, speed, aviation facilities, and accommodations. I presume since this design meets most of the objective criteria, the other two designs will also similarly exceed the minimums. I will provide some of the information provided in the brochure and then provide my comments. Commentary: Compared to the Treasury Class (327 ft) cutters, this is, of course only one foot longer, but the beam and draft are both substantially greater, greater in fact than the beam and draft of the 378s, so we can expect the full load displacement to be considerably greater than the 327s’ approximately 2500 tons, and close to the over 3,000 ton full load displacement of the 378s. Unless the vertical weight distribution is messed up, these are likely to be good riding, very seaworthy ships, a notable improvement on the 270s and 210s. Also included are a 466 sq ft physical fitness area, a 20 seat training room, and a 48 seat crew’s lounge. Commentary: Note these are the accommodations, not the expected crew which will be 15 officers, 89 enlisted, and detachments totalling 12 for a total of 116. The Coast Guard is avoiding the mistake made on the Littoral Combat Ship of assuming a small crew, limiting accommodations, and then finding they need a larger crew than the ship was designed for. Commentary: This is an area I was afraid we would see the design compromised. For similar speeds, this range is comparable to the that of the 378s. At speeds above 18 knots, its all diesel power plant will give it greater range than the 378s. Commentary: I interpret this to mean four generators of 1044 kW or 4,176kW total. That is a lot of power generation potential. By comparison a 378’s total capacity is 1500 kW, the 270s have 1425 kW. This suggest that the ship will have a hybrid power plant with the generators used for driving electric cruise motors. Running only three generators, one could probably supply routine electrical requirements and the other two could propel the ship. Two generators would supply the equivalent of approximately 2800 HP, this might be enough to drive the ship at 14 knots. Certainly three generators supplying 4200 HP would be more than enough. This will allow the ship to cruise with the Main Diesel Engines shut down. The combined horsepower of the main diesels, 24,408 HP is more power than the diesel engines of the National Security Cutters which we know provide a high cruising speed, and it is about three and a half times the power of those on the 378s or the 270s. The thruster is apparently of the drop down trainable type, allowing it to be used as an emergency or loiter propulsion system. The available power is relatively high meaning the ship could probably make seven or eight knots on the thruster alone. I expect what we will see is two main engine spaces, each with one main diesel and one or two generators. Hopefully the main spaces will be separated by more than a single bulkhead, perhaps by the engineering control room, so that damage at a single point cannot effect both engine rooms. Hopefully also, at least one generator will be outside the two main machinery spaces. If so, these ships will have extraordinary main propulsion redundancy with at least three different spaces and five different systems capable of moving the ship–two MDE, two motors on the main shafts, and the bow thruster. Construction: Steel Hull with an Aluminum Superstructure. Commentary: No surprise, although I would have liked to see steel superstructure, but it is a reasonable compromise. Commentary: Good news that the hangar will be large enough to accommodate both a Navy MH-60R and a UAS although I am a bit concerned that since the Navy has moved to a larger airframe for their Firescout, there is a chance that the UAS may not include the latest version of what is likely to become a standard system. Apparently the Flight Deck is at least as large and probably larger than that of the 378s. Commentary: No surprise in what was mentioned. The radar fire control system that was included in previous specifications was not mentioned. This may have been simply an omission, but the Electro-Optic System might also serve as a firecontrol system, although it would be decidedly inferior to a radar system against surface targets in low visibility and against air targets in all situations. Consequently I am a bit concerned that this system has been compromised in the interest of simplifying the design. The excess generator capacity may make these ships suitable for use of energy intensive weapons that may be developed in the future. 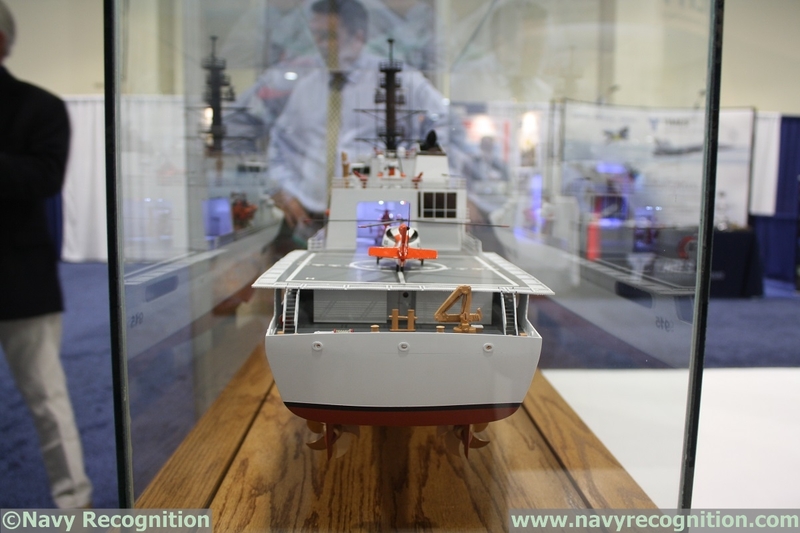 The procurement process for the Offshore Patrol Cutters is well underway. Three conceptual designs have been selected for further development. Challenges to the selection process have been rejected. There should be decision on the final design and contractor about the end of next year. Perhaps the ships might feel closer to reality if there were a class name. I like the fact that we have been naming ships for notable figures in the history of the Coast Guard and its predecessor services as was done for the Bertholf and Webber Class cutters. Lets continue that with the Offshore Patrol Cutters. Our friend Bill Wells tells the story of First Lieutenant, Frank H. Newcomb (Captain Commandant upon retirement), CO of the Hudson when it towed the Navy torpedo boat Winslow to safety from under Spanish guns in the port of Cardenas, Cuba during the Spanish American War. Revenue Cutter Hudson towing USS Winslow while underfire from Spanish guns. Newcomb was honored by the Navy as namesake for a Fletcher class destroyer, DD-586, USS Newcomb. She had a short but eventful history. In spite of not being commissioned until November 1943. She and another ship sank the Japanese submarine, I-185. She provided naval gun fire support at Saipan, Leyte, Iwo Jima, and Okinawa. As flagship of destroyer squadron 56, she lead a night torpedo attack on a Japanese Fleet during the Battle of Surigao Strait. 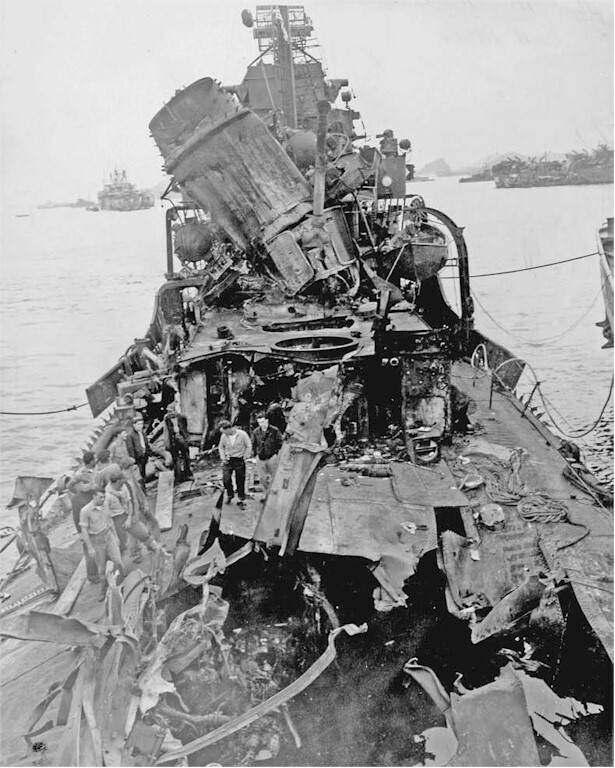 She scored at least one torpedo hit on the Battleship Yamashiro, which was sunk in the battle, and like her namesake, while under fire, she towed a damaged ship, USS Albert W. Grant (DD-649), to safety. Off Okinawa she survived five (or six) Kamikaze hits. Newcomb’s career was not limited to his time on the Hudson. This short biography (pdf) by Atlantic Area Historian William H. Thiesen also talks about his peacetime leadership, and how Admiral Waesche personal chose Newcomb as namesake for a destroyer as the best representative of the Coast Guard. 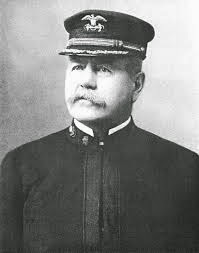 “While Newcomb distinguished himself commanding a cutter in battle, he spent much of his career working as a field officer and inspector for the United States Life-Saving Service. Throughout his career, Newcomb championed the rights of those whose efforts merited recognition and promotion. For example, when he had received the medal for his wartime exploits, he insisted that Hudson’s crew receive specially struck medals as well, and the cook and stewards mate became the first African Americans to receive such recognition. There has never been a Coast Guard vessel named for Newcomb. I think it is about time. If you have any other suggestions for namesakes for the class, please add them in the comments section. OPC and the LCS Replacement (SSC), Sister Ships? I am not the only one seeing a possible opportunity for commonality between the Coast Guard’s Offshore Patrol Cutter (OPC) and the Navy’s projected Littoral Combat Ship (LCS) replacement. Here is a comment from Tim Colton’s Maritime Memos. “The LCS program having proved unaffordable, largely thanks to the Navy’s idiotic passion for bells and whistles, they are now looking for suggestions for what they call a small surface combatant, or SSC. Read the announcement on FedBizOpps… The key words in the RFI are right up front: Small surface combatants enable the Navy to implement the Defense Strategic Guidance (DSG) imperative to develop innovative, low-cost, and small-footprint approaches to achieve our security objectives. There is more information on the solicitation here. They are “asking for existing and mature design concepts.” The eight shipyards that bid on the OPC, and particularly the three that were selected, should be in a particularly good position to meet the demands of the solicitation. We know they want more survivability and range, but they also want low cost and small footprint. To me that means a ship of similar size to the existing LCS but without the requirement for extreme speed that has made them high strung, crowded, and fragile. A slightly lengthened OPC can meet the requirements. Replace the 57mm with a larger gun and the Mk38 mod2 with CIWS/RAM/SeaRAM. Install CAPTAS (active/passive variable depth/towed array sonar) aft and use the extra length to add VLS and a second CIWS/RAM/SeaRAM, and you have a very viable, long ranged Small Surface Combatant. If the Navy and Coast Guard could share a common Small Surface Combatant, they could probably be made in very economically. Could This be Bollinger’s OPC Candidate? 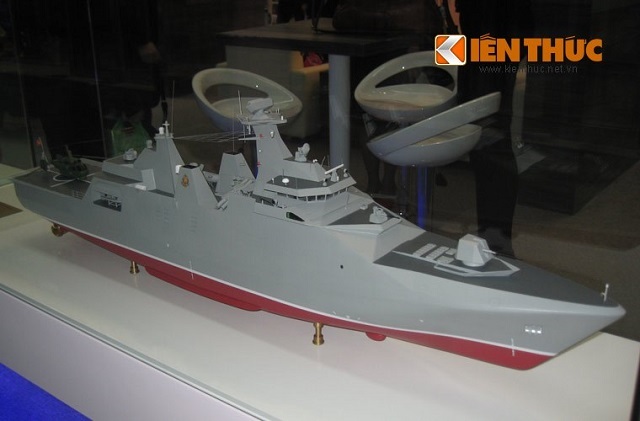 Navy Recognition is showing a photo of a model of a new corvette being built by Bollinger’s partner Damen for the Vietnamese Navy. The ships is the right size, 98 meters long and 14 meters of beam (321 ft x 46 ft). We already discussed the fact that Damen had built an OPC sized ship for the Vietnamese counterpart of the USCG. 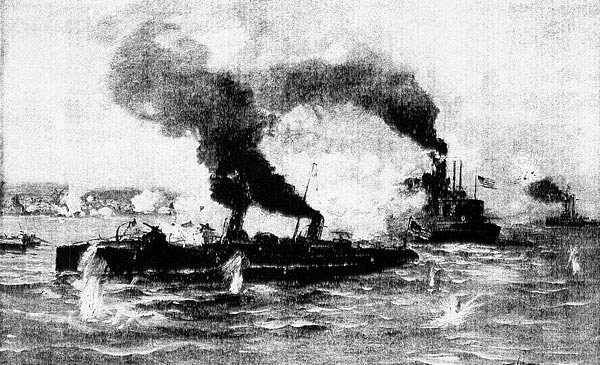 The photo even looks a little like the ships in this earlier illustration from Bollinger. The reported dimensions of the new Vietnamese vessel also correspond to the dimensions given for Damen’s 2600 ton OPV. The corvette will acomodate one anti-submarine helicopters Ka-28. The corvettes are set to receive the latest generation of electronics and sensors from Thales including TACTICOS combat management system,SMART-S Mk 2 radar and STING EO Mk 2 electro-optical fire control system. “SEC. 215. MULTIYEAR PROCUREMENT AUTHORITY FOR OFFSHORE PATROL CUTTERS. First, it should be apparent that this applies only to the Offshore Patrol Cutter (OPC). 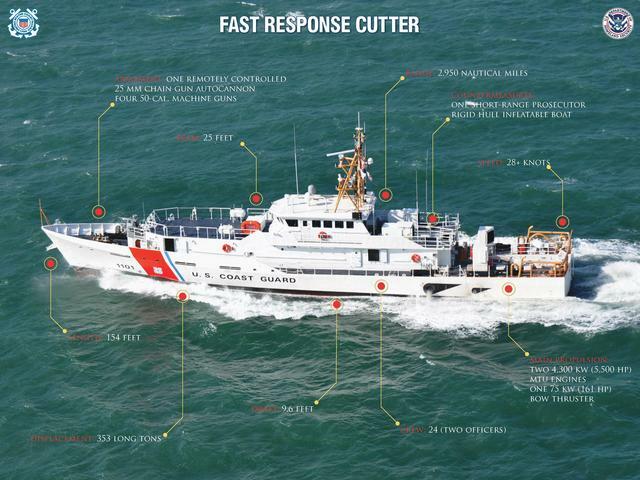 This will not help with the Fast Response Cutter (FRC) program. Second it refers specifically to section 2306b of title 10, the section governing muti-year procurements (MYP), which brings with it some specific requirements, one of which is that to be eligible for consideration for a multi-year procurement, the program must be “stable.” In the case of shipbuilding, this usually means that the first ship is at least complete. That will probably be in 2020, by which time, at least the first three ships should have already been contracted. There is a form of contracting that would provide many of the advantages of multi-year procurement (MYP) that can include these first few ships, this is Block Buy Contracting (BBC) as was used at the start of the Navy’s current submarine program, but that was not what was authorized. Clearly the House Transportation and Infrastructure Committee wants to allow the Coast Guard to exploit potentially more efficient forms of contracting, but the potential of multi-year procurement of OPCs is still years away. 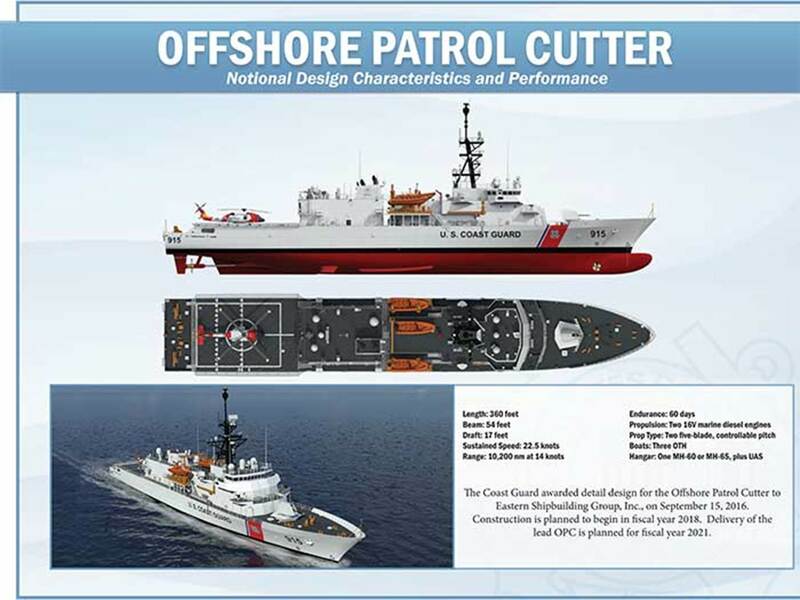 If they want to realize savings earlier, they will need to authorize Block Buy Contracting for the Offshore Patrol Cutters and/or Multi-Year Procurement for the Fast Response Cutters. There is another issue here also. That is the disagreement between the Department and Administration (in the form of OMB) on one side and the Coast Guard and some members of Congress on the other about what elements of the project must be funded before it is considered fully funded and a contract can be awarded. This is a funding approach question. and it is actually not directly connected to the contracting mechanism. Authorizing MYP does not resolve this disagreement. 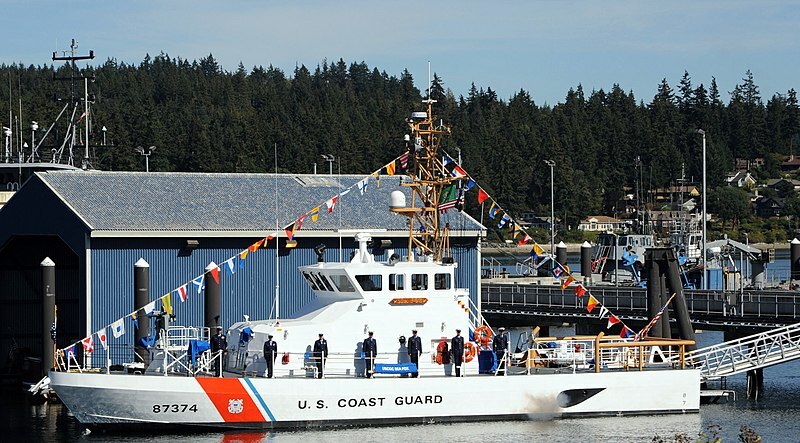 The Department and Administration’s apparent reticence may be symptomatic of a desire to delay committing, which would work against the long term commitment required for a multi-year procurement, but it should be obvious to anyone that while the final number of OPCs may be open for debate, the Coast Guard does need at least the eleven that are currently planned to be included (one contracted and ten as options) in the initial construction contract.